Lisbon was one of the most visited cities in Europe last year for destination engagements, weddings and honeymoons. After the government’s advertising in some of the most prestigious magazines as Cereal magazine or Monocle, more and more couples have married in Portugal. One morning I received an amazing email talking about a wish, a dream and a date. After some mails, we decided to do a vintage wedding photography session at the center of Lisbon, a special city for them. We were enjoying the incredible light, the old streets and the nice people. We were discovering the city from Chiado to Terreiro do Paço, walking by Baixa to Alfama and we visited the famous viewpoint of Santa Lucia. Part of the love shoot session was photographed at the must-do Lisbon attraction, the 28 vintage yellow tram line, on the old line of Alfama and we stop at every little corner we liked…. I love to photograph couples in love in this wonderful city. 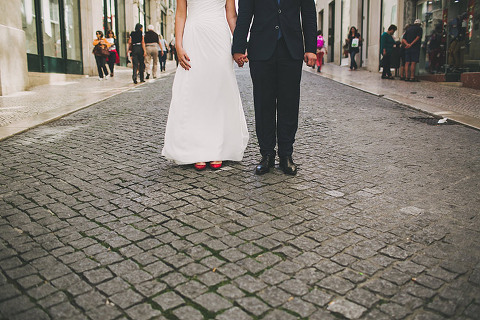 I posted a nice picture of this lisbon wedding destination and I was so happy to be their destination photographer. I had imagined this lovely shooting on my mind some months ago, and finally happened. 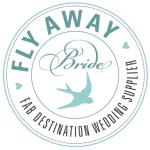 This vintage wedding photography session in Lisbon was featured at the destination wedding inspiration blog Fly Away Bride Thank you!! !